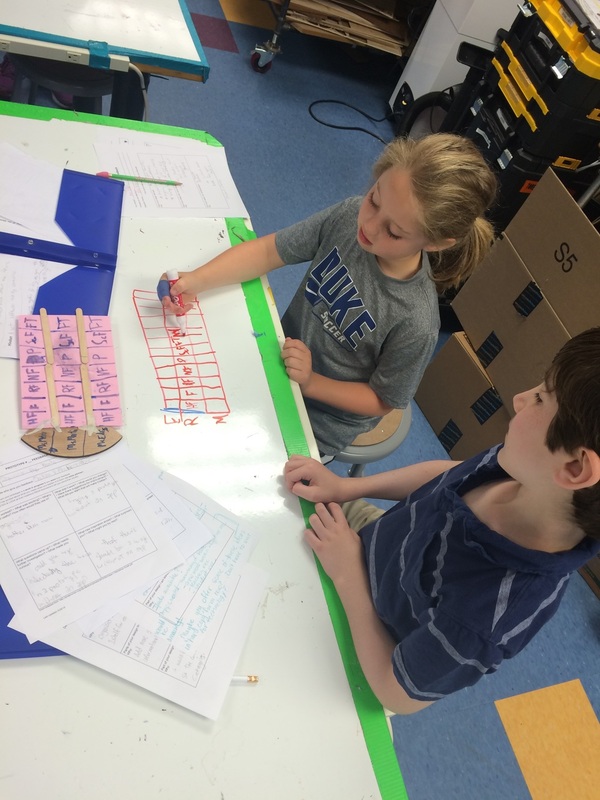 Third graders are tackling improvements to their current classroom for next year's class. 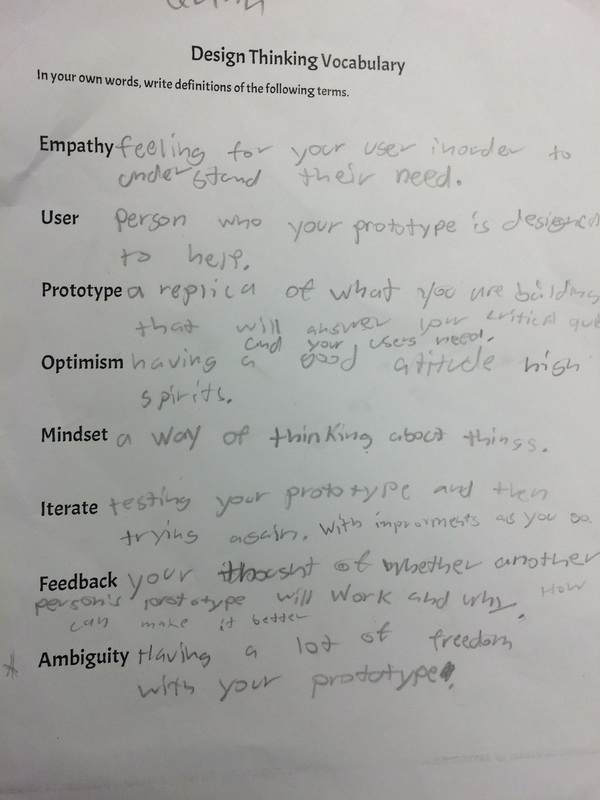 Check out their understanding of design thinking vocabulary on the homework sheet. Low resolution prototypes were made and tried this week. 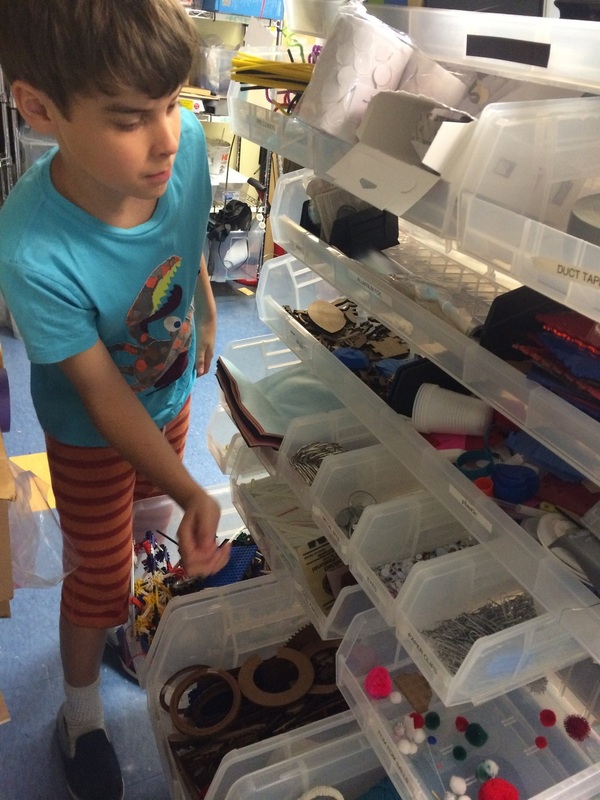 The next generation of problem solvers are here! Newer PostGround breaking for the new Academic Commons (& EurekaLab)!